If you need a reliable and reputable roof repairs Macclesfield roofing contractor to carry out your roof repairs or replace an existing roof, then Home Improvements of Macclesfield, Cheshire, is the company to call! Is it time to get your leaky roof repaired, roof replaced with a brand new re-roof or gutters cleaned and repaired? Perhaps you need your chimney pointing or recapping? The roof repair specialists team here at LF Home Improvements have years of experience with replacement re-roofs and repairing all types of roofs. We can undertake everything from repairing a small roof leak to laying a completely new roof with the utmost care and quality materials. A popular service we offer our customers in Macclesfield and throughout all areas of Cheshire is roof coating and sealing. This helps protects your roof long term and is a cost-effective way to protect your roof. Applying a waterproofing sealant to the surface can make your roof more fire-resistant, and help prevent the growth of mould and algae, too. • Roofing replaced or repaired. • Guttering repairs and cleaning. Our roofers are fully qualified, fully insured and highly skilled in all aspects of roof repairs. If you have a problem with your roof and need an emergency repair or require a new quote to repair your roof, gutters, fascia’s or soffits, contact our friendly team today. We repair, clean, or fit guttering, downpipes, soffits and fascias and can fully insulate all types of roof, including pitched and flat roofs. All our roof repair work is carried out in accordance with Part L of the building regulations. Our 24-hour manned roof repairs Macclesfield office can have an experienced roofer with you within 1 hour, day or night. 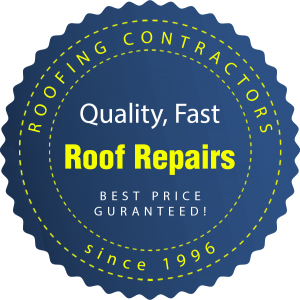 All our roof repairs workmanship carries a full written 12-month guarantee. Have peace of mind that our tradesmen will always leave your property clean and tidy following their visit.